Taiwan provides essential relief supplies to the Philippines and pledges to continue delivering aid as storm survivors try to return to normal life. Taiwan sent another two cargo planes filled with relief supplies to the storm-ravaged Philippines Thursday [21 November 2013], bringing the number of shipments on the military's C-130 cargo planes to 18 since Nov. 12 . Thursday's flights loaded with supplies, including food, tents and blankets, arrived in the central Philippine city of Cebu shortly after noon, with Minister Without Portfolio Lin Jung-tzer in charge of coordinating Taiwan's assistance for typhoon victims. After the arrival, Lin handed over the batch of supplies to Lt. Gen. Roy Deveraturda, commander of the Armed Forces of the Philippines Central Command. 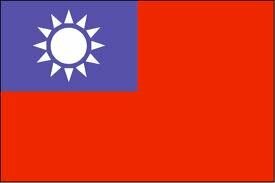 Lin also conveyed the concerns by the government of the Republic of China (Taiwan) for the Philippines and pledged that Taiwan will continue its aid packages to the country. The airlifts are part of Taiwan's aid to the Philippines following the devastation brought by Super Typhoon Haiyan, one of the strongest storms on record, which tore through the central Philippines on Nov. 8. The Taiwan government has donated US$200,000 to the Philippines and sent 18 sorties of military cargo planes filled with 130 metric tons of relief supplies worth about US$2.7 million. According to Lin, the ROC government has initiated the second round of relief efforts for typhoon victims and the largest batches of supplies will be transported to the Philippines in the near term. Taiwan's deputy representative to the Philippines Chang Tai-lai said his office will maintain close contact with the Philippine government to fully integrate resources from various sectors to help people affected by the typhoon return to normal life and rebuild their homes. In addition to government effort, non-government organizations including Buddhist charities have been operating in the devastated areas to provide help to storm survivors. Private donations and more supplies are also being collected after President Ma Ying-jeou urged the people of Taiwan to do more to help the neighboring country.